Boys State is a nationwide program. Last year there were 50 American Legion sponsored Boys States in operation. The American Legion in the state of Illinois began this far-reaching activity in 1935. South Dakota Boys State was founded at Aberdeen in 1940 and subsequent meetings were held in 1941 and 1942. World War II made it necessary to drop this activity, but in 1946 South Dakota Boys State was resumed. So many prominent Legionnaires participated in the organization of South Dakota Boys State that it is somewhat unfair to mention names, but some of the more active promoters were N. Peter Wenge, Ivan Huntsinger, Dr. Harry Darling, Mr. Charles Dalthorp, all of Aberdeen, and Judge Harry Mundt, all now deceased. The excellent organization of this program is due largely to their planning and foresight. A plaque on the Northern State campus has been erected in their honor by former Boys Staters. American Legion Boys State of South Dakota has a two-fold purpose. First, to better help youth understand and appreciate the American system of government and way of life including the rights and responsibilities of citizenship. Secondly, to give a better knowledge of the fundamental principles of government within the State of South Dakota. These objectives are sought by establishment of a mythical 51st State of Union, comprised of counties and cities, giving Boys State actual experience in control and operation of these units of government. 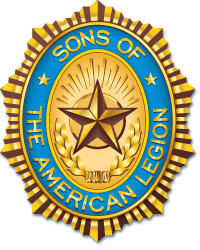 The American Legion wants the Boys of South Dakota to understand the problems of government as well as how it functions. Upon reaching Boys State, citizens are assigned to one of the two mythical political parties and to residence in a specific city and county. The two parties are designated as “Federalist” and “Nationalist” with absolutely no connection with political parties as they exist in South Dakota today. With the exception of city elections, which are non-political as they are in South Dakota, party caucuses and conventions are held, with full slates of officers elected at county and state level. Appointive officers are also filled. American Legion Boys State and American Legion Auxiliary Girls State are the premier programs for teaching how government works while developing leadership skills & an appreciation for your rights as a citizen. As a participant in the program you, will run for office, learn public speaking, create and enforce laws and actively participate in all phases of creating and running a working government in this exciting and fun summer program. Many states offer scholarships or admission preference for attendees of Boys or Girls State. For more specific information about YOUR Boys or Girls State program, click on the appropriate Boys or Girls icon below and then use the locator on that page to find the contact information for your state.